A closed system is when sales are within the company participants or to new recruits, rather than the general public. Participants themselves may make most of the purchases. Distributors at closed system companies may also sell products to cooperating family members. Retail sales to people truly unaffiliated with the company are rare. A trivial or small portion of retail sales outside the network still indicates a closed system. Closed system companies should be viewed as a red flag. A closed system is an indication that an MLM or network marketing company may be an illegal pyramid scheme. 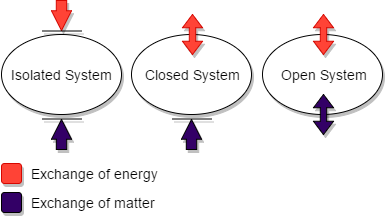 The term “closed system” is actually from science. It means that there is no transfer of various things (heat, energy, etc) in or out of the system. Learn more here. In the case of these companies, there is no transfer money IN from the general public or product OUT. Instead, the money is only coming in from new recruits, and the product stays with the system. This is why it is often an indicator of an illegal pyramid scheme. And the magic threshold only be over 30% internal consumption to fail the acid test……. if investigated. Few MLMs are, nor are they required to file this breakdown with regulators. Great point, there is no regulation at present requiring MLMs not to be closed systems. This only comes into play if they are accused of (and sued for) being an illegal pyramid scheme. And even then, there is that magic threshold based on previous cases.